On this day of sunshine, grills, and pool season, remember why you are able to do all those fun things. As summer unofficially begins, it is the season of vacations and beach reads (even if you have no beach, pool, or deck, there is sunshine and a greater need to get away from your kids). Go pick up a book and start the unofficial summer season in the best possible bookworm way. I took another zany break with Terry Pratchett this month. When I seem to be taking life too seriously, it helps to read some Pratchett. His satire can really put your perspective back into order. 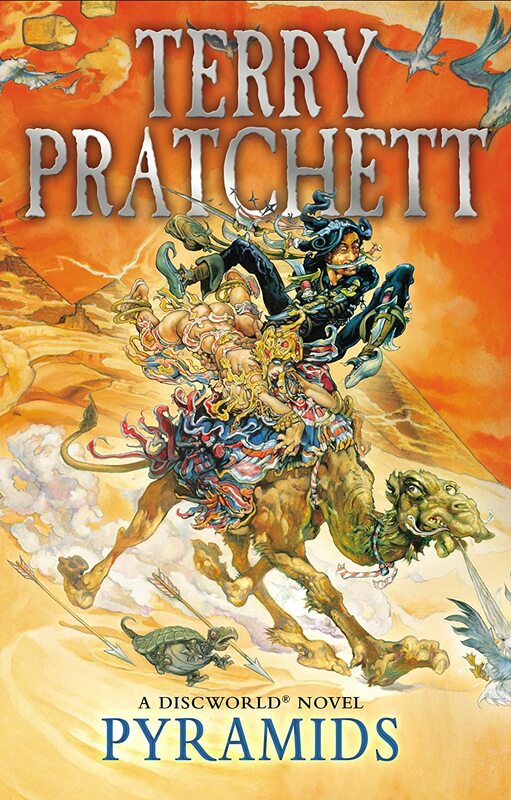 This is the seventh book of Discworld. While they are absolutely not required to read in order, as many are standalone novels, I find that it gives each book the best flow. The overall atmosphere gains traction with each story that can be missed if you just breeze in midway. This twisted tale of the Egyptian and Greek ancient civilizations is not my favorite of Pratchett's pieces. Something is just missing from the characters and scenery. The satire of religion and beliefs was spot on, though. Pratchett just has a way of pointing out the obvious flaws in something without tearing the system down.